Members see it first! Travel up and down California and explore the fossils of the coast at OMCA’s Cruisin’ the Fossil Coastline Member preview. 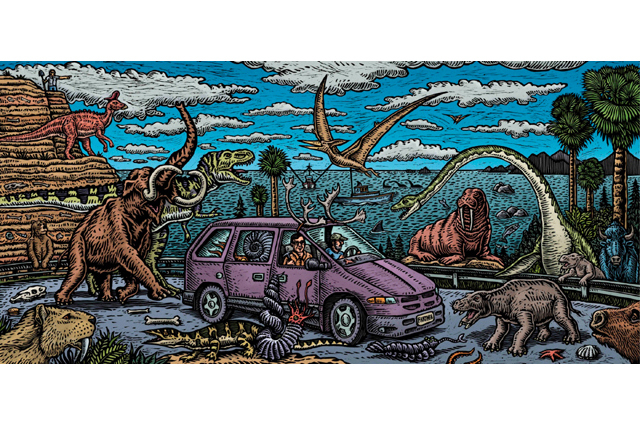 Discover the connections between art and science through fantastically colorful renderings by artist Ray Troll and the research of paleontologist Kirk Johnson, who made an incredible journey to map the ancient world with a fresh perspective.